Check out the latest newsletter for links to Groupon deals for classes and lessons. Open Mic is this Saturday! Please help the studio grow! 2. Join the Meetup Group, even if you're already a student. 3. Share the website and social media pages so people know why my programs are different. 4. Invite your friends to class. You'll both get a free class! I'm giving away the lesson plan for January's classes free to everyone. Keep reading or scroll to the bottom to download the pdf. Join a class to get more lessons! What's the purpose of a Baby, Music, and Me class? Can toddlers really learn music? These are the 2 most popular questions I get when I tell people I teach Early Childhood Music Classes. Check out my Lesson Outline below to see objectives for motor, communication, social, and musical skills for each song we're doing this month then pull up the Youtube playlist and have some musical fun with your little one! 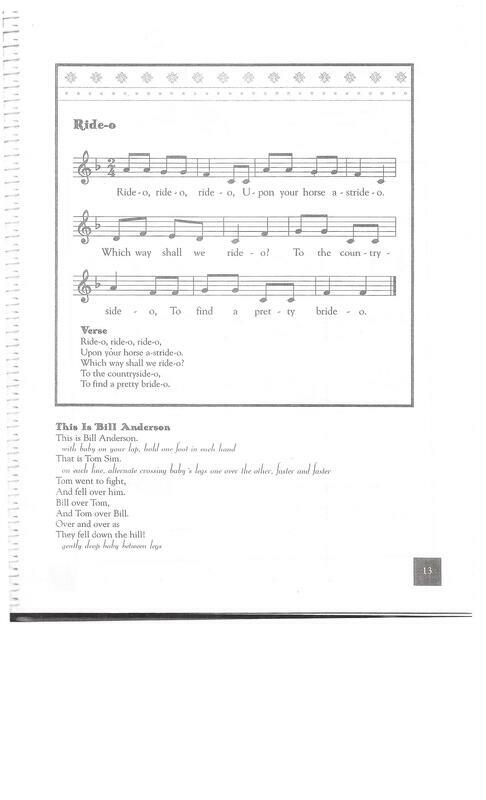 Each lesson includes the songs used in class throughout January. Repetition is important for building a relationship as well as for learning skills. Ms. Tonya will choose from these songs but not all will be used during every class, depending on class dynamics, student need, and time. Lessons for Baby, Music, and Me and Toddler Tunes use the same songs with expanded or even different activities. This is simply an outline of our lesson. Please refer to documents and instructions also given during class time. As much as possible it’s important to sing to the baby, whether you think you can sing or not, as babies are more likely to imitate a real human voice over a recording and even more so if it’s an immediate family member. 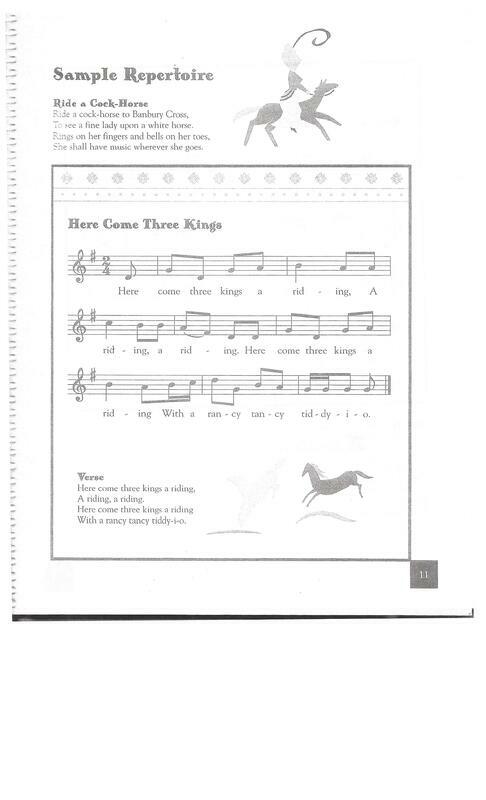 Lyrics are provided in this lesson for songs that Ms. Tonya learned from other music therapists. Credit is given to the music therapist I learned it from unless I know its source. Please contact me if you feel someone else should be given credit. Recordings for student use are being planned. The Youtube playlist includes an alternative for playing and singing with babies and toddlers at home. Motor Skills: Gripping. Using shakers, help infants shake on the beat, model for older babies and toddlers. Communication: Wave, say hi/hello, say own or another baby’s name. I’m glad that you are here today! I am glad you are here today! It’s a beautiful day, It’s a beautiful day, It’s a beautiful day! Motor Skills: With bells strapped to one wrist, help infants shake on the beat or model the fine and gross motor movements related to each verse for older babies and toddlers. Move to the beat clockwise around the room. This is a social and bonding activity. Toddlers: Let toddlers dance with you or on their own with you modeling as they wish. Options: Have them dance on your feet, hold one or both hands and tap the beat, or model movements for them to imitate. Mirror Song: Who’s That Baby? Motor and Music Skills: Using tambourines, help infants or model for toddlers playing the beat at slow (adagio), medium (moderato), and fast (allegro) tempos for each nursery rhyme. These are predictable rhymes with a fun “surprise” at the end. Try to wiggle each finger/toe to the beat of the rhyme. Repeat at least 4 times so baby can learn to anticipate the ending. These songs have a limited tonal range to encourage imitation and are in a range that’s easy for babies and toddlers (mezzo-soprano). It’s important to sing to the baby, whether you think you can sing or not, as babies are more likely to imitate a real human voice over a recording and even more so if it’s an immediate family member. Repeat each song at least 4 times. Scarves or a soft blanket provide a nice sensory experience and can be calming after so many activities. The lesson is winding down. 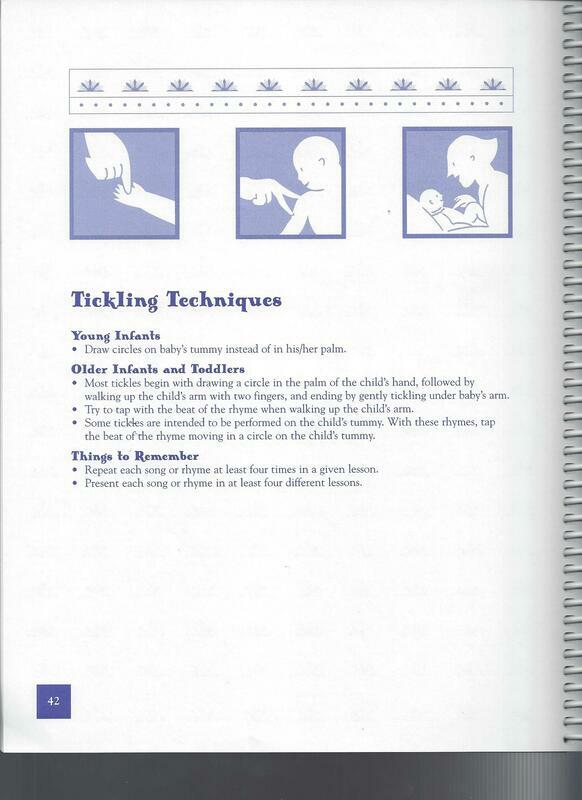 Motor skills: Imitate fine and gross motor gestures (ASL) related to each verse. Ms. Tonya’s version is slightly different than the original that I’ve linked to. Goodbye, oh goodbye, thank you for the music today! Goodbye, (sing names), thank you for the music today! The building of something new and how I got here. What do they look like at Coyote Music Studio? Music Education and Music Therapy For All. All classes at Coyote Music Studio are open to students of all abilities. Lessons are integrated with music education and music therapy objectives so that students with different needs and abilities can learn music concepts together. Different schools and teachers use many different methods for teaching groups of students with different learning needs but one thing they have in common is diversifying lessons. This includes using a variety of activities to teach each objective so that students have a chance to learn in ways they’re already familiar with as well as ways that might motivate or challenge them. At the same time, the teacher has a chance to reach those who would be left behind while still helping others progress. Music is the perfect vehicle for this type of teaching. In fact, I often tell people that preschool IS music therapy since good preschool teachers spend most of their time teaching letters, numbers, colors, social norms, and other concepts through music and dance. Descriptions for classes at Coyote Music Studio may list an age but those are just suggestions. If students would be more successful in a younger or older class, they’re welcome to join that class instead. Consultation between me and parent/caregiver can help determine the appropriate class or you can schedule a Music Therapy evaluation for a recommendation. Parents and caregivers are invited to join in class activities if that will help the student participate more fully. I’m not currently offering the Social Music class for children with special needs separately. (Dayhab Social Music Classes for adults are still ongoing. Call or email for more info on scheduling a class where your group meets). Students from the children’s Social Music classes are encouraged to join one of the Early Childhood Music classes or schedule private Music Therapy sessions until they’re ready to move into a class. Many of the daily objectives for my music classes are not musical in nature. As a music therapist, I’ve learned and successfully used a variety of music strategies that are designed for everyone to increase fine and gross motor skills, social skills, communication skills, academic skills, and others. I feel it’s important to incorporate these strategies in my lesson plans for all students and many of the lessons included with our curriculum accomplish these goals even though their main goal is increasing musical understanding and ability. The musical objectives when teaching Frog in the Meadow are for children to identify and tap the beat, sing So and Mi (with a passing Fa), sing as a group, and move artfully (using fingerplay). The last one obviously doubles as a fine motor skills objective. A lot of the music in our curriculum is like that, almost built-it non-musical objectives. That’s because the authors have researched child development. They know what children respond to and the best methods for successfully teaching specific concepts in fun ways. I also use Frog in the Meadow as a social skills activity. I have a frog guiro that we pass around the circle while we sing the song. Each child gets to play the beat with the frog and choose where the frog “jumps” next. Passing it on to someone else is difficult for the younger ones in the class but after a couple weeks they begin to have fun making the frog jump around their heads, shoulders, knees, and toes.  So of course, this ties in beautifully with the song and we can work on gross motor movement as well as cognitive skills. Here’s my favorite version. It goes through many more body parts than the traditional song, getting kids all tangled and giggly by the end. Social Music for Children and Young Adults with Special Needs is a group music therapy program in which people with special needs could have fun playing music and learning with their peers. Unfortunately, the program’s enrollment was always low due to scheduling issues and I began to feel the children’s class didn’t fit with the vision I had for my studio – a place where people of all abilities could have fun learning music together no matter their musical abilities or possible limitations. It also didn’t fit with my teaching philosophy. You see, I firmly believe that students are not just receptacles for information: they shouldn’t be sitting passively listening to lectures or just memorizing what teachers put in front of them. Students should be actively involved in their learning and to do that properly, they need to get to the 4th Level of Learning: Teaching. I describe this in a previous post but the short version of it is that there are 4 levels to learning and truly understanding any concept: Observation, Do with Help, Do Alone, and Teach. We’re often satisfied if students can demonstrate their understanding without help but we shouldn’t be. They should be able to describe it so well that they can teach it to someone else. Unless they can do this, students don’t completely understand the concept. In an integrated music class, I have many opportunities for students teach each other as they begin to progress at different rates. Children also seem to know how to communicate with each other better than adults do with children. If I have a student who is having a real hard time understanding or doing something new, they often “get it” when one of their peers explains it - sometimes in what sounds like the exact same words! Seeing this happen time after time, I began to feel uncomfortable separating my classes my ability. Both classes were missing out! This is also why my music classes are small: classes max at 8-10 in the Early Childhood and Homeschool classes. In large, public school classrooms this is often a frustration for teachers: they have too many students with too many different learning styles and they simply don’t have the time for everyone. Many schools still separate students by ability as well because in large classrooms it's easier to teach a group of students at the same level. I feel lucky to have the chance to teach small classes so that everyone has an opportunity to progress, even if it’s at different times. As one mother of a Preschool Polyphonics student said, "It's important that children interact with people of different abilities early. It instills compassion on one side and a feeling of acceptance on the other." Where did the concept for integrated music classes come from? After receiving my Master's in Music Therapy from TWU, I worked for many years as a contract music therapist in North Texas for senior care facilities, special education programs in several ISDs, and in private homes for people with a variety of special needs. One of my contracts was the Odessa Stroke Camp. The camp is a weekend retreat for stroke survivors and their caregivers run by Retreat and Refresh Stroke Camp. It began in Illinois when Marylee Nunley and a small group of caregivers began meeting to support each other and grew into camps all over the US. They believe in the power of music therapy so they always have at least 1 music therapist at every camp. I felt lucky to be their music therapist for 3 years in a row. Though we only saw each other for 3 days of the year, it’s an experience that builds lifelong friendships. I began thinking on that experience as the vision for my studio was evolving. One of the reasons the music therapy groups were so powerful was the interaction of everyone together, no matter their needs and abilities. Communication and social interaction through music is less demanding as well – no one has to struggle to make themselves understood. I wanted to bring this type of experience to all my clients and students. Odessa Stroke Camp (2012) A weekend retreat for stroke survivors and their caregivers. In public schools when students are moving from self-contained classrooms to general education, they often do it slowly (1 or 2 classes at a time) and usually begin with “specials” classes: music, art, and PE. As a music therapist, I was often in ARDs where we discussed the benefits and special needs each child would face in “transitioning” to general education settings. Later as the music teacher in a large school, I often found myself on the other end - trying to teach music concepts in ways that 25-30 students with different learning needs could understand, demonstrate, and have fun with. Then I had to repeat that process with 7 different age groups throughout the course of a day. My background as a music therapist often served me well. It was this experience that directly led to the Early Childhood Music Program at Coyote Music Studio. A change in administration and a change in the educational system as a whole had me reevaluating my future as an educator. For a variety of reasons that I’ve detailed in other places, I needed a change. My plan was to return to music therapy. I was recertified and began seeking new contracts. There were a number of road blocks and changes to the new studio immediately. I couldn’t go back to practicing in the same manner that made me burn out so fast. I was determined to build a practice in Denton and not drive 400-500 miles each week (this is not an exaggeration). Since funding for music therapy is minimal outside the large cities, I had to find a different way to do it. Music therapy is no more expensive than Speech, Physical, or Occupational Therapies but it isn’t covered by many insurance plans like they are. I had to find a way to make it affordable for families on a regular basis - music is learned through repetition. I love teaching music and it’s completely different than practicing music therapy. Even if I could build a solid music therapy practice here in Denton, I knew I would miss this other aspect of my life. In the early years, children essentially need to develop similar communication, motor, and social skills whether or not they have special needs. I knew music therapy strategies could be adapted for groups of children with a variety of needs and abilities while teaching musical concepts. The right curriculum was needed. I chose Kindermusik, applied and was accepted to open a franchise. I was very excited but soon realized the costs were going to be too much for my small studio and its families. I was trying build affordable music therapy and music classes but Kindermusik required the families who joined my studio to purchase materials every month. The first lesson in our franchise business class was how to determine the ideal location based on certain client criteria, such as income. Kindermusik feels their ideal customer is in the upper middle class bracket and there’s nothing wrong that. It’s good that they know this and are upfront about it because it helps them market correctly. However, some of my families struggle to pay even my low costs. I didn’t want anyone making the choice to drop music because they couldn’t afford the cds and booklets (even the digital option is not an option for some of my families). At the time, my studio wasn’t supporting me fully and I had to take part time jobs to fill the gaps so this just seemed overwhelming. Had I not quit the program, I would be finishing this month and getting ready to begin classes. I stayed on that timeline anyway. Classes for babies and toddlers begin January 5th! I found the curriculum I was already using for my Preschool Polyphonics class has another series for Infants and Toddlers. It’s not a franchise but a classroom curriculum with lesson plans and 6 books worth of songs and other activities. 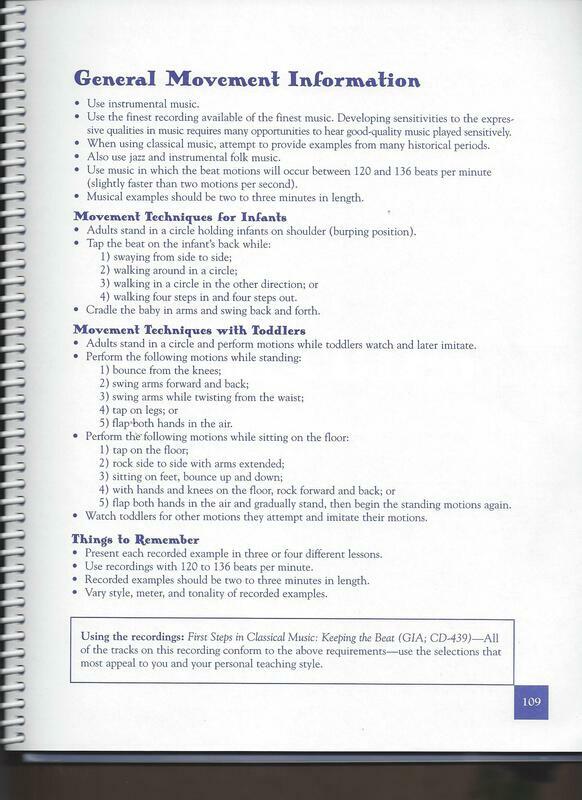 As a music therapist and music educator, First Steps assumes I have enough training to use their materials properly instead of requiring I go through their training program. I plan to take their workshops to become a Certified FAME Teacher but the beauty is, it’s not required to use the curriculum and the cost to my students remains the same. As someone with a Bachelor’s in Music, Master’s in Music Therapy, and 3 teaching certifications, I’m glad to finally save myself some time and money. My experience teaching in public school was also the inspiration for It’s Elementary: Sing, Dance, and Play – the homeschool music class. 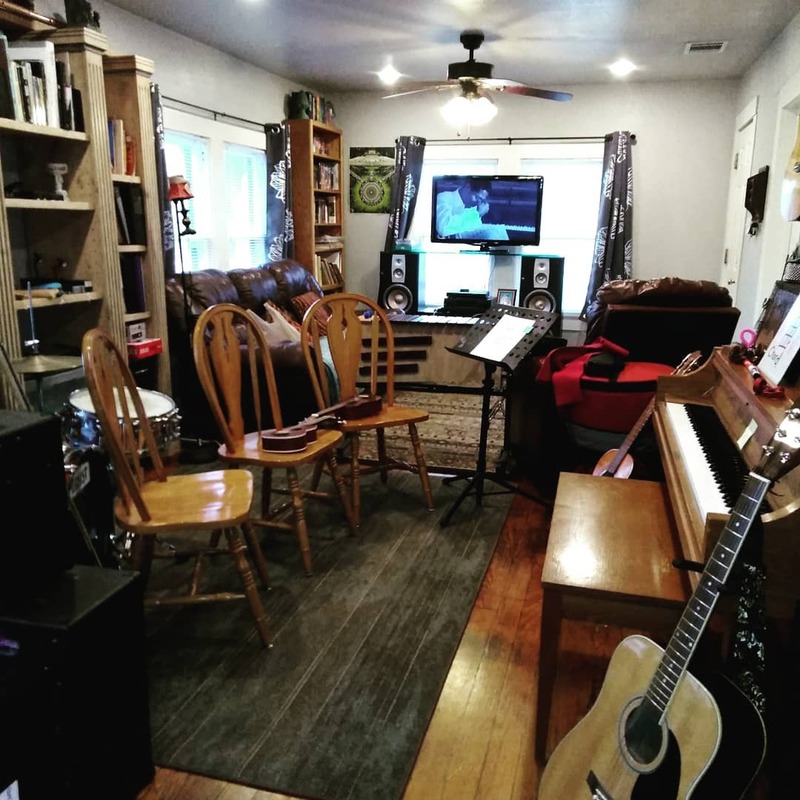 I have friends who homeschool their own kids and I noticed that even though there are groups that meet for a variety of activities, there weren’t any opportunities for elementary aged homeschoolers to learn music the way public school students do. They can take private lessons and there are even homeschool bands and choirs for middle and high school aged students but elementary music teaches things students can never learn in a private lesson. In elementary music classes, students are singing folk songs, common children’s songs, and choral music with 2, 3, and 4 parts, dancing complicated partner dances, and learning harmonies and counterpoint by playing Orff xylophones and recorders – the basics for middle school band and orchestra programs. While private lessons are important for mastering an instrument, music is a social activity and theory should be learned that way. It’s difficult to understand harmony and counterpoint when you’re the only one playing. for the classes and a few reasons why I chose each. Baby, Music, and Me; Toddler Tunes; and Preschool Polyphonics all use First Steps in Music by the Feierabend Association. I truly believe everyone can sing. I used to make my public school students shout it because I never met a child who couldn’t sing and I needed them to believe it before I could teach them. There are definitely some that instinctively seem to know how to use their voices musically while others are merely able to hit the right pitch, but they still can. When does this stop? When does someone go from being able to hit the right pitch to being “tone deaf”? I have 2 theories. It’s my belief that some people are simply too shy to sing in front of others, stop practicing, and forget how to make their voices respond the way they did as children. Voices need practice just as wind, string, and percussion instruments do. Learning music is about repetition. Some people were shamed into staying silent and, again, they stopped practicing. “Eeew you’re no Frank Sinatra. Let’s leave the singing to him.” But why? Just because some people are paid for it, doesn’t mean we shouldn’t all have a chance to enjoy music more than as consumers of someone else’s talent. Even mediocre singers should be able to take joy in singing for themselves or their families. sing at a worship service without persons in the row in front turning around. soothe their infant with a lullaby and rock to the beat of that lullaby. I can’t believe they pay me to play music with babies either. During the past 100 years families have been redefined. Where once there were large families living in close proximity, now the nuclear family is smaller and more geographically dispersed. This shift in family community has strained the continuation of aural traditions. 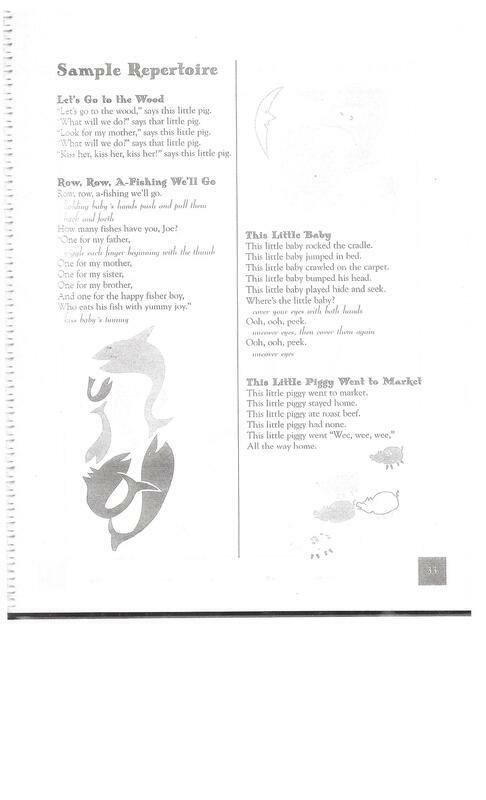 The playful songs and rhymes, once shared by generations of adults with children, are gradually being forgotten. Those songs and rhymes that demonstrated community affection and endorsement-and were orally transmitted from one generation to the next-are being replaced by commercially imposed “ear candy,” literature that provides a temporary rush but lacks long-term nutritional value. Promoting musical development in infants and toddlers is necessary if the neural pathways are to develop for later musical sensitivities. If we expect audiences in the concert halls in 30 years, then we had better pay attention to the musical nurturing of our infants and toddlers. Songs and rhymes which were traditionally shared 80-plus years ago continue to be a most appropriate means of nurturing musicianship. Today’s infants and toddlers could greatly benefit from the natural play and the wonder-full music and rhyme literature that our grandparents intuitively shared with their children. This is just a snippet of what he has to say on early childhood music education. Please go to his website to read more about his philosophy on music education and examples of this curriculum used in real classes. The research that went into developing this curriculum has led to lesson plans that not only increase musical ability but do so in developmentally appropriate ways, making this the perfect curriculum for a music therapist teaching music to infants, toddlers, and preschoolers of all abilities. 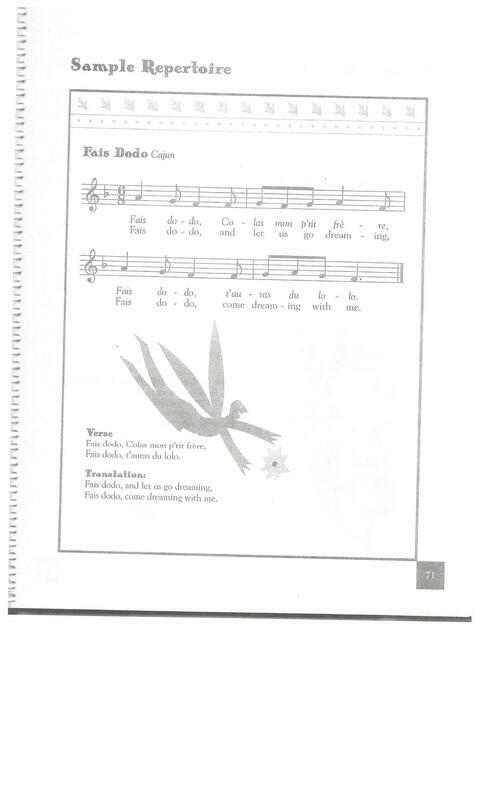 The following are all used with It’s Elementary: Sing, Dance, and Play, the homeschool music class for ages 6-11. 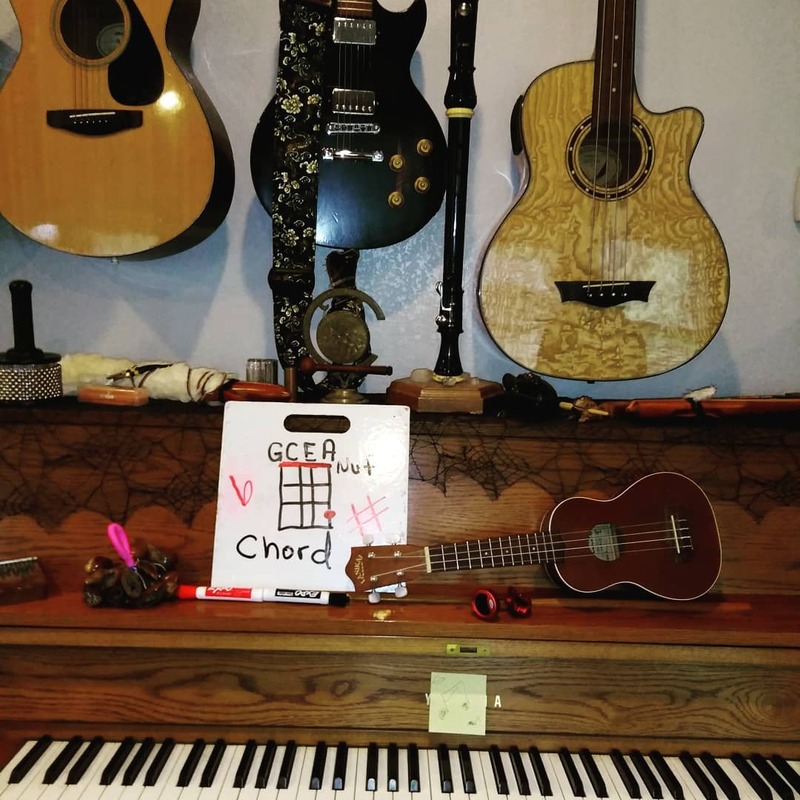 I love this curriculum for teaching music theory, vocal exploration, and instrument play to young students. 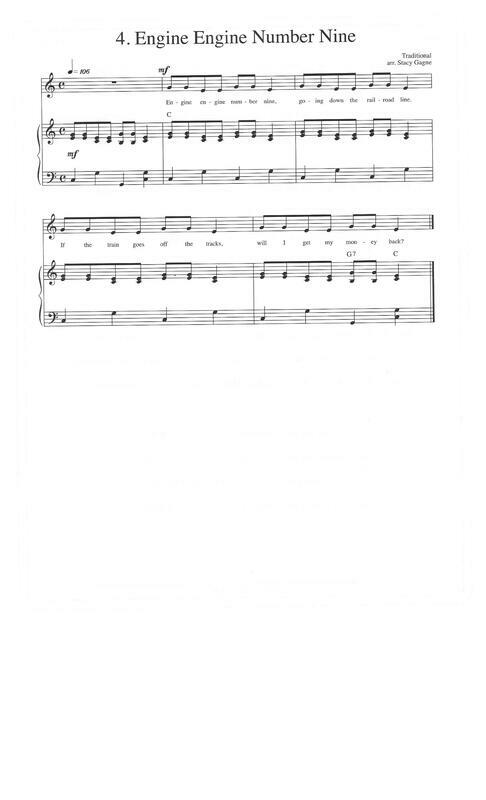 Almost every song and musical activity has at least 2 videos; one for demonstrating how to teach the lesson and a fun one for students to interact with the music. Students really enjoy the “Concept Videos” that go with most lessons. 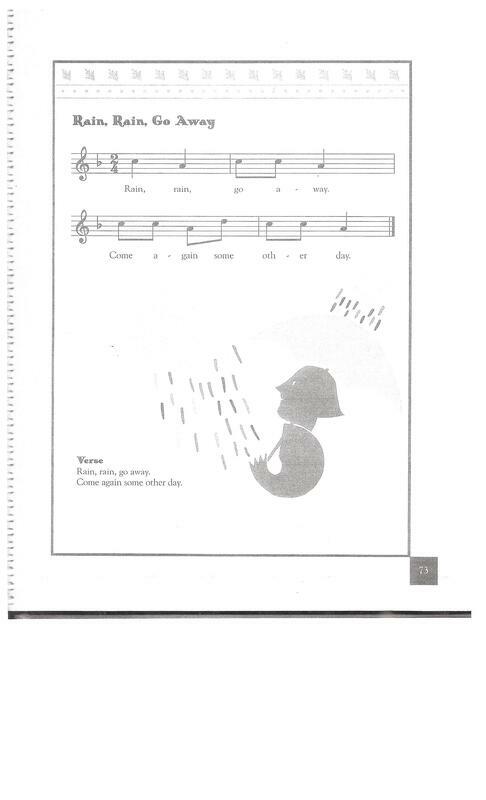 The website has endless activities for reading, singing, and playing music both in Western notation and Kodaly, understanding and playing rhythms, active listening activities, and musical games that kids ask for over and over (Poison Rhythm). All activities include hands-on learning, active singing, or dancing. This is very important because elementary aged children still need physical movement and multicolored visuals to engage their brains for learning. My only fault with Theme and Variations probably comes from the simple fact that she is Canadian and we live in Texas. We have different traditional music, different folk songs, and dances, and the music sometimes seems a little “young” (Kinder lessons seem more appropriate for PreK and this is true for most of the grades). My training and years working as a music therapist with children and seniors taught me plenty of folk songs that are appropriate and regional so I supplement with those. Theme and Variations is the brain child of Denise Gagne, who is incredible at designing it the way teachers need. She actively takes feedback on her Facebook groups and looks for suggestions before making major changes. She listens to what teachers say works in their classrooms and what doesn’t. I can’t express enough how much I love the children’s choral music in Music K-8. Every issue has music that can be used with either beginners or advanced choral singers and most issues are themed so there’s less time planning recitals. I also like using their recordings for listening activities. Children love hearing other children sing and these recording feature some wonderful choirs. This series of instruction manuals teaches the history of folk dances and has dance steps that are easy for children to follow. The series begins with Chimes of Dunkirk, a longways reel adapted from a French circle dance, that sets beginners up for more challenging reels like Alabama Gal. I’ve used this in my public school classroom, in the homeschool class, in Social Music with young adults with Autism, and with typical adults at a company party. It’s simple enough for everyone to learn and yet still fun. Everyone always wants to do it again at the next class! 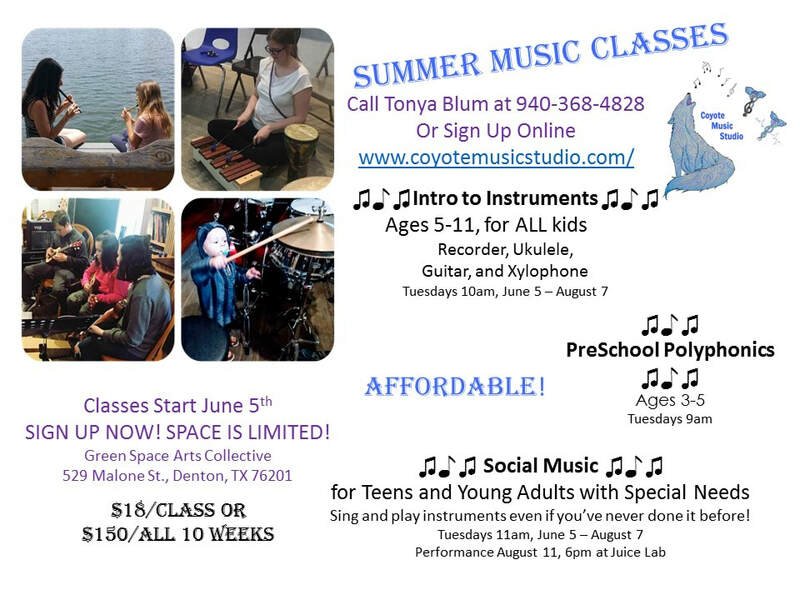 Take to look at the all the Classes and Lessons offered at Coyote Music Studio. You can call or email with more questions or drop in to any posted class. Your first class is only $5! The Kid's Open Mic at Juice Lab will be taking a break through the month of January. Get your love songs ready for February! 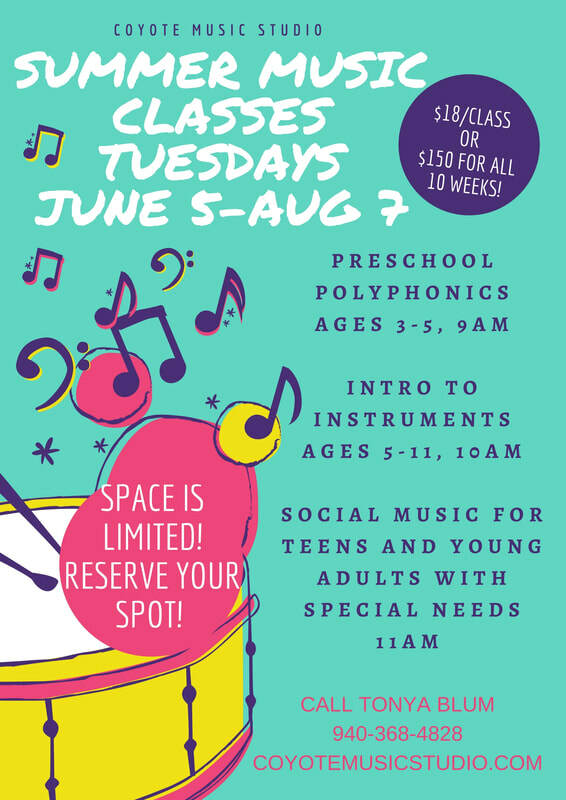 SUMMER MUSIC CLASSES Space is Limited! Reserve your spot now! How can we be so accommodating? We have 2 teachers working in our studio that play multiple instruments! At Coyote Music Studio we believe it is important for well rounded musicians to have a working knowledge of instruments in different categories (winds, strings, and percussion) AND we practice what we teach. 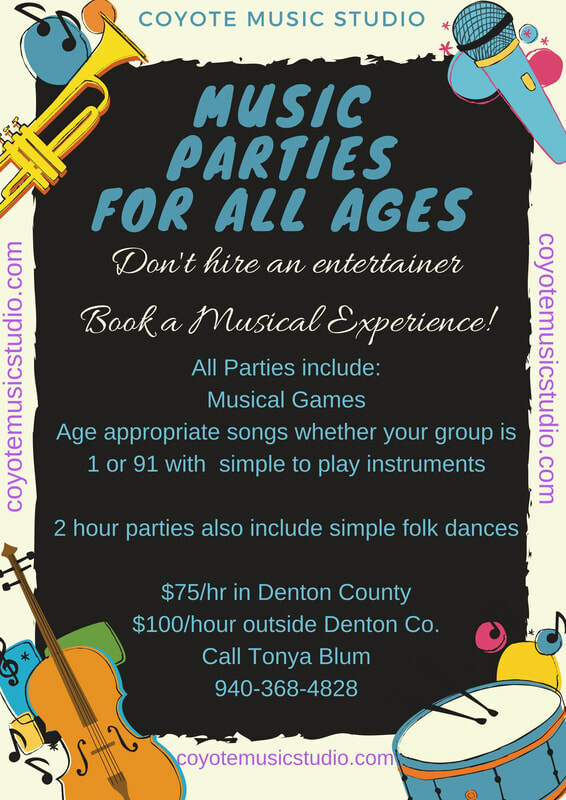 I'm Tonya, the owner and music therapist for Coyote Music Studio. I began this studio because I wanted to bring a different kind of music education to the children of Denton. If you've read my previous blog post, then you know why I feel it's important to teach in a multilevel environment. Without rewriting that entire post, I believe that students connect in a way that helps them learn from each other better than in a one-on-one teacher/student setting and teaching helps students get to that 4th Level of Learning. I've also found that in my years of teaching, my students have made me a better musician. My primary (and first love) will always be the flute and any flute-like instrument but I also play guitar, ukulele, and piano. You may see pictures of me strumming along on other instruments from time to time, but I don't consider myself a real "player" of those instruments. I simply know enough to "chord and strum," to have fun jamming with other musicians, and that's ok too. Hope Ada Scott is primarily our percussion teacher at Coyote Music Studio, but she also plays a mean piano. She's about to open as Heather Duke in the Denton Community Theater's production of Heathers, the Musical (April 6, 7, 8, 12, 13, 14, 15). Piano students who wish to continue learning when the beginner class is finished have a lot of fun with her. She also teaches some of the beginner guitar and ukulele class and is starting a group class for beginner drums soon! Check back for more information about that. $20 UKES! $20 UKES! Have you seen it enough yet? You better sign up soon because the offer is going away Friday! If you sign up for our ukulele class by Friday you only pay $20 for you ukulele! After Friday, they will still only be $25 to ALL NEW STUDENTS. Sign Up and learn to play. Have a kid who wants to learn guitar but you aren't sure if the investment in an instrument is worth it? 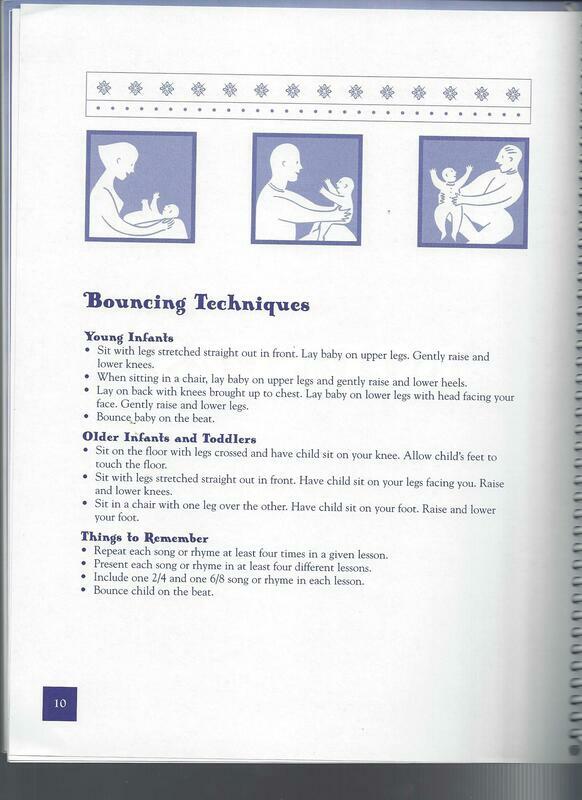 Did your child already drop several other activities and you just aren't sure? "What if my child doesn't like to practice?" We have 3 spots available for students who don't have a guitar yet. Sign up for a trial lesson, weekly class, or even commit to the full month for a discount! Students can learn on our studio guitars until they decide it's the right fit. Students aren't allowed to take studio guitars home to practice, which will slow their progress, but it saves your family the upfront cost until everyone is ready to commit. The best part is if you read this far you get a prize! The code at the bottom is good for a full month of classes or lessons, good for whenever you decide to sign up. Thanks for supporting us by reading the blog, liking our Facebook page, sharing our posts, or signing up for classes and lessons! We couldn't do this without you, obviously! Use this code in our SquareUp store when signing up in order to receive your full discount. Unfortunately the Weebly platform doesn't allow coupons and discounts but if you already registered and didn't get your discount, send me a message. We'll take care of it. I never really understood myself as a musician until I played in a rock band. I was a classically trained flautist with a master's degree in Music Therapy. I had been writing my own songs for a few years before starting the band Synesthesia Battery (originally Earthshine) but they never sounded finished. It was just me on my guitar or piano playing chords and singing. Nothing wrong with that, people get famous on it every day but writing music with a group of people made me view learning music in a different light. My songs became something else, something better, something with more life and a personality on their own. They became fully-finished songs that I was proud to sing out into the world. Even though I had played in concert/symphonic bands my entire flute-career, I never quite learned that same lesson. It took me a long time to understand why. Often in the Synesthesia Battery rehearsals we would just jam. We weren't practicing a song but just improvising - playing through a chord structure, listening to what everyone else is doing, and trying to make it sound like a song not just notes. In Symphonic Band rehearsals I had a part I had to play too but it was all written in front of me. It told me when to play which notes, their duration, their rhythm, their dynamics, when I was important and when I wasn't. We're always told to listen across and I'm sure every single classical musician will say they do, but honestly we don't have to and I think a lot of us don't. In the same respect, I enjoy teaching private lessons for how deep we get to dive into the music and explore the nuances of making music instead of just playing notes. If you want to master an instrument, private lessons are necessary but if you want understand how to truly play music on that instrument, you have to play with other musicians and you have to play without notes in front of you. You have to understand how your part fits into the whole. Not everyone can be the soloist all the time or the music loses its beauty. As Chris Rock puts it so brilliantly, "sometimes, you’re on tambourine. And if you’re on tambourine, play it right. Play it right. Play it with a ... smile, because no one wants to see a mad tambourine player. If you’re gonna play the tambourine, play it right." You better rock that tambourine like you're the First Tambourine in the Galaxy Symphony and improvising with other musicians helps you understand that. Learning music, not just playing, in a social context is even more beneficial. When we learn music in a social context, often there are more experienced musicians playing alongside beginners. The more experienced musicians can keep the music going, keep the progression developing, while the beginners play simple melodies and rhythms. This allows everyone to not just feel like musicians, but to BE musicians even at the beginner level. The successful experience of making interesting and fun music gives beginners confidence to try new things, to expand their skills faster than they might when practicing alone. It also allows them hear what experienced musicians do musically when they make mistakes and the more adventurous beginners will try to imitate it. Jazz musicians will tell you nothing is a mistake if you can make it fit. Playing music with beginners also benefits experienced musicians. Teachers know that there are 4 Levels of Learning: Observe, Do With Help, Do Alone, and Teach. Outside of an academic classroom we tend to stop at Level 3: Do Alone because we think if we can do it by ourselves then we must truly understand that thing. How many times have you been sitting with a friend and when they asked you to explain something you said, "well, I know how to do it, I just can't put it in words." Think about another time when you were able to explain something you're passionate about with expert detail. Think about the interesting conversation that erupted from those details. Your friend learned something from that teaching but you also learned because in explaining it to your friend you were able to dive deeper into the subject than you had before. Your friend's questions and reactions to your preferred subject most likely made you look at it in a way you hadn't before, giving you new insight into something you thought you knew everything about. Teaching music is the same. When musicians have a chance to get to the 4th Level of Learning: Teaching, they have a chance to explore music in a way that allows them to learn more about it. ​In my classes I often have more experienced students teach some of the concepts to the beginners for this very reason. I am always there to help give more detail if necessary but I find that students relate to each other better than teachers relate to students - no matter the age. Even adult students relate to each other more than they do to an adult teacher. This is probably because of the nature of the teacher/student dynamic. I remember teaching a fellow classmate a concept we were discussing in my high school Literature class and when he understood it I thought to myself, "but I said it just the way the teacher did." Now that I'm a teacher I know I probably said it in a nuanced way that he related to better. I see it so many times now with my students. I will be teaching and someone just doesn't understand a concept, like the difference in note values (quarter, half, whole) and I feel I've exhausted every way of explaining it while giving musical examples. Then the kid sitting next to them says something (that seems like what I just said) and the child can suddenly do it. I believe in this fourth level of learning. I feel it is necessary and therefore it's why I plan more classes than private lessons for Early Childhood Music development. Like I said, private lessons are encouraged and very much necessary, but music is social and should be learned that way. Summer Classes at Green Space Arts Collective begin June 5th! Intro to Instruments - A new Beginner lesson each week on either ukulele, guitar, or keyboards, Recorders every week! Students get to keep the recorders at the end of the class! Cost: $180 total includes each weekly class and the Recorder. ​Social Music - A weekly performance class for teens and young adults with special needs. No Music Skills Needed! Tonya will teach you everything you need to know to have a stellar performance at the end of the summer. Cost: $180 total includes each weekly class and the reception at out performance. Regular Weekly Classes - ENROLL AT ANY TIME! For 5 years and up!